Austab Labels manufactures A4 sheet labels suitable for all types of printers including inkjet, laser and photocopiers for many applications including addressing, shipping, filing, name tags, property id and many more. 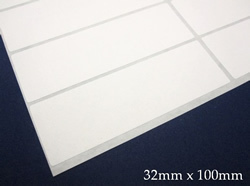 Our comprehensive range of A4 sheet labels are available in many different sizes and shapes, whether you require matt, gloss, or synthetic, permanent or removable, coloured or plain white. We stock popular off the shelf labels available for next day delivery or we can customise any design with hundreds of cutting dies available. We can assist you with templates to make your label printing easy, call our customer service department to have the template emailed to you.